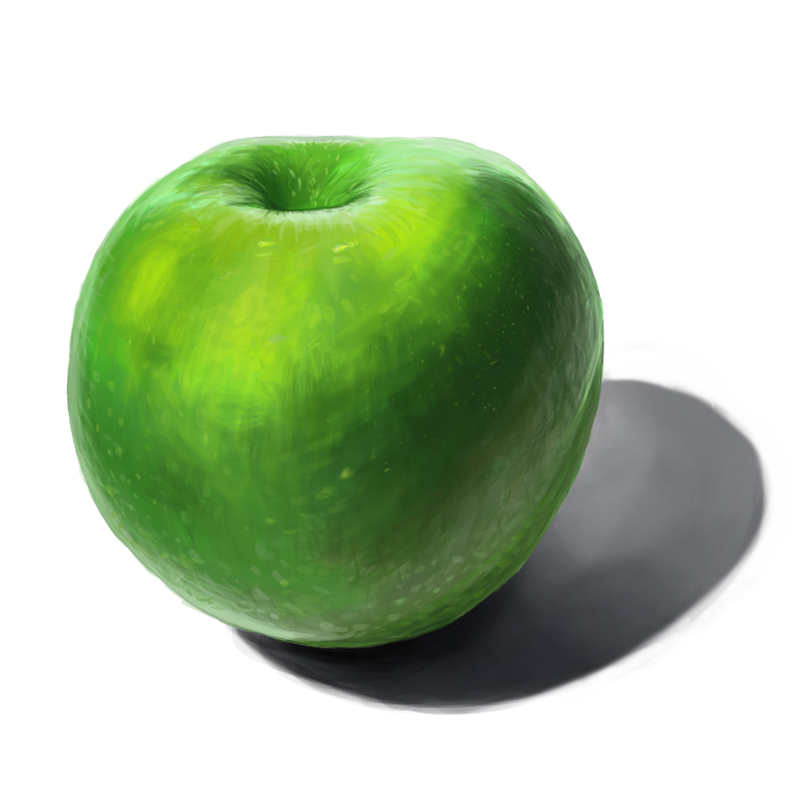 This was one of my first serious digital painting attempts, and I was using a photo of an apple I found online as reference. Since the whole point of it was for me to learn how to blend colors and paint in Photoshop, I made sure I didn’t use the color picker at all and tried to pick out different colors on my own. It took me around 3-4 hours to finish this, and I must admit, the first 2 hours were pretty frustrating. After initially blocking in the colors it was very hard for me to figure out how to blend everything, yet I found out that general to specific is indeed the way to go. It takes a while but soon you start to see those blocked in solid colors mixing in. For me the most fun part was the very end when I was putting in all those little details and textures. Once I started putting those in I felt like the whole thing came together nicely.